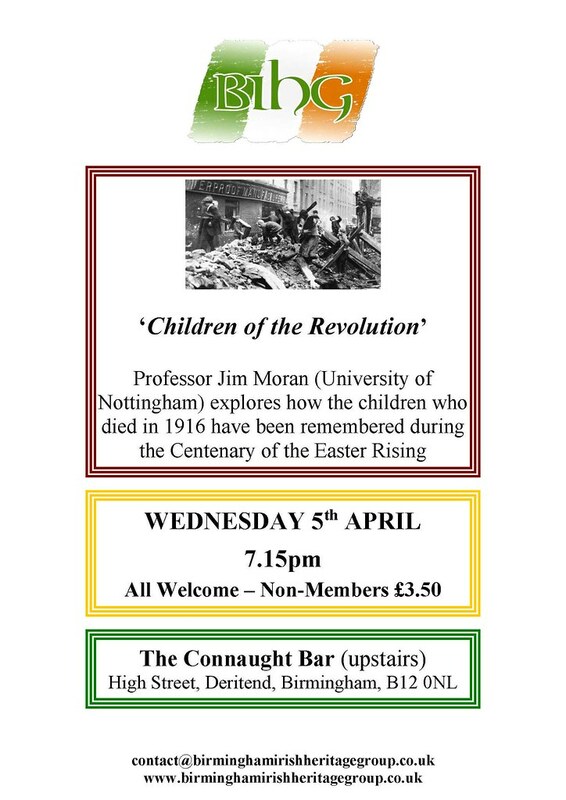 The Birmingham Irish Heritage Group invites you to a special presentation by guest speaker Jim Moran, Professor of Modern English Literature and Drama at the University of Nottingham. Entitled ‘Children of the Revolution’, the talk explores how the children who died in 1916 have been remembered during the Centenary of the Easter Rising. For more information, see the BIHG website here.